This month I’m sharing a review for a newly-released “non-fiction novel” to use the term coined by the book’s subject, Truman Capote. 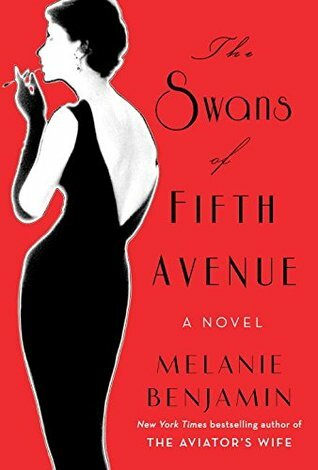 Melanie Benjamin‘s THE SWANS OF FIFTH AVENUE is a knock-down drag-out story of true love and utter betrayal that’s all the more poignant for being based in reality. These people existed. And I felt a bit grotesque peeking into the murk of their shady relationships. From the New York Times bestselling author of The Aviator’s Wife comes an enthralling new novel about Truman Capote’s scandalous, headline-making, and heart-wrenching friendship with Babe Paley and New York’s society “swans” of the 1950s. Centered on two dynamic, complicated, and compelling protagonists—Truman Capote and Babe Paley—this book is steeped in the glamour and perfumed and smoky atmosphere of New York’s high society. Babe Paley—known for her high-profile marriage to CBS founder William Paley and her ranking in the International Best-Dressed Hall of Fame—was one of the reigning monarchs of New York’s high society in the 1950s. Replete with gossip, scandal, betrayal, and a vibrant cast of real-life supporting characters, readers will be seduced by this startling new look at the infamous society swans. I’ll be truthful, I don’t usually read biographical fiction. It’s not my thing, but I have long heard the name “Truman Capote” whispered about and while I don’t believe I have read any of his work, I recognized his stature in American literature. So, I was hooked into the read for that. I love historical fiction, and the blurb indicated this book to be rife with the sort of dark plot turns only Diana Gabaldon could have wrought. What we know: Capote was an out homosexual in a time when such a person was normally killed or jailed. He charmed everyone, men and women alike. His wild, flamboyant ways captivated the cultured ladies of the Manhattan’s elite. His waifish looks and witty repartee got him meals and lodgings and vacations and fame. They may have even gotten him love from one of the most beautiful women of the era, Babe Paley. The book relates a special, intimate, though platonic, relationship between Capote and Babe that was well-known at the time and amongst their peers. I was young when Capote died–of drink and drug excess, it seems, and the pages of the novel fairly sang with love between these mismatched, hopelessly lonely people. Babe’s husband, the powerful and wealthy Bill S. Paley–CBS magnate, was a known philanderer, and this took a toll on her emotionally. The exquisite Babe could never be seen out of make-up, not even by her husband, and she doted on him completely, as she was well-trained to do by her mother, to the exclusion of really raising her own children. The story meanders in time between first-meetings with the “swans”: society dames Babe Paley, Slim Keith, Pam Churchill, Marella Agnelli, C.Z. Guest, and Gloria Guinness, and the infamous article Capote penned in 1975 for Vanity Fair, which was a gauche caricature of the beautiful society people that Capote had insinuated himself within. It marked a permanent break in his life, one that many attribute to his ultimate downward spiral into addiction and death. The article, La Cote Basque 1965 was a tell-all of sorts that throttled the society mavens. Ann Woodward, mentioned under a pseudonym, actually killed herself following reading of the article–which recounted the spectacle of her husband’s “accidental” death by her own gunshot. Truman Capote is definitely portrayed as a bounder in this book. He was a social climber with the aim of being the best, and surrounded by the best. And yet, he is made sympathetic. He long struggled to find love–first from his neglectful mother, and then everyone, including Babe. Their relationship may have indeed been a love story for them, but Truman’s needs were too great. He had a long-time companion, Jack Dunphy, who urged him not to publish his scathing article, but Truman didn’t heed that advice. Or maybe he could not afford to. It was known for some time that he’d been losing control of his addictions, and was years overdue on a novel that he’d been advanced money against. “La Cote” was meant to be one of seven chapters in that book, and only three were ever recovered and printed as “Answered Prayers”. Swans is a beautifully-woven multiple POV story that is without question a melancholy read, with a train wreck-type plot that is only more harrowing for its veracity. Capote’s real-life self-destruction was rather spectacular, and fairly well-documented. I left the book feeling sad for such waste, and such sadness. The rarefied world of the New York’s social elite is certainly not the stuff that ever filled my dreams, but it was a bit shattering to have all it’s unsavory bits on display. On the flipside, it was a meticulous introspection into the ills of high society in general–what power brokers in this world do we not see living to excess, in different aspects of their lives? What morality exists for those who place themselves above others by means of wealth? These were issues that seemed to trouble Capote, and his “justice” was that of the pen. It was a brutal weapon. Interested? You can find THE SWANS OF FIFTH AVENUE on Goodreads, Amazon, and Barnes & Noble. Expect to find it in bookstores and libraries now. I received a review copy of this book via NetGalley. And, now! 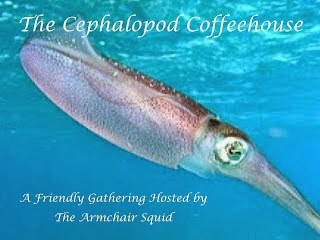 Take a hop over to the websites of my fellow Coffeehouse pals to see what their fave books were for January. As always, thanks for popping in and keep reading my friends! This sounds great! I love biographical fiction, and I love Capote’s writing. Breakfast at Tiffany’s was brilliant, and In Cold Blood–a very different nonfiction piece, was chilling. This sounds like a riveting read. I will definitely check it out to see how the writer has constructed a fictional take on it all. Well, I hope you enjoy. As I am a starry-eyed romantic, the inevitable sadness of the whole scenario was a little dampening to my enjoyment. On its own, though, the book is lyrical and interesting. Glad I could recommend it! I probably won’t read this, but I do have some of Capote’s work on my to-read list. I thought it was interesting–for fans of Capote it’s a peek into his life, I think. Sounds like fun – dare I say Capote-esque? I don’t know his work apart from Breakfast at Tiffany’s, the film rather than the book. It would be interesting to know more about how that story relates to his own life experience. I have enjoyed the movie Breakfast At Tiffany’s many times, but never read the novella. And, yes, this novel I believe was designed to be in the style of Capote. As I’ve not read any of his work, I’ll take it on faith. There are definitely true-life renderings of instances that did happen in the book. Bill Paley noted his last conversation with Capote, and that’s in here, imagined from Capote’s point of view. And the meetings of the swans at La Cote Basque, both the subject of the infamous story, and the meeting directly following the story was published, were documented. Capote’s reaction to Ann Woodward’s suicide was a part of the interviews he gave in the wake of the scandal. There’s a lot of research into the lives of many of these people that’s present on the page. If this were a movie, people would consider it semi-biographical, I’d say. I don’t read much historical fiction, nor do I read much biography. I definitely know that sometimes truth is stranger than fiction though, and well worth reading about!